Jayant Chote (10) became 2018 Champion Mini Bike Junior B. 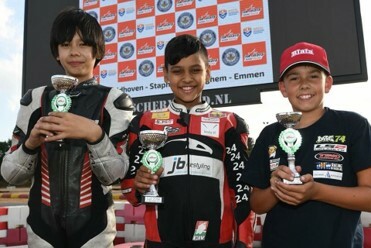 During the 2018 season and with 2 racing days to go, Jayant was the undisputed leader in his class, Junior B Mini Bike. He collected enough points in the first 6 Dutch Championship events. 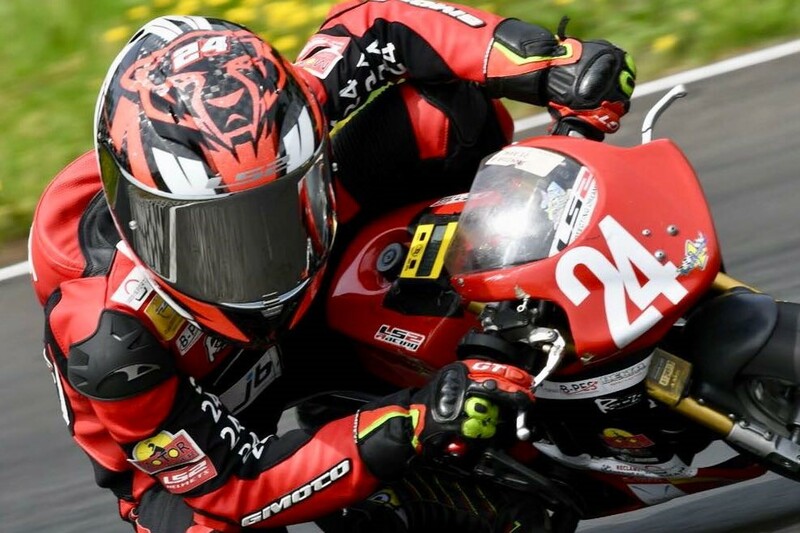 On Sunday 19 August, Jayant could not be overtaken by the competition during the 2 races at the Junior Track of the famous TT Circuit in Assen. Despite some technical issues with his motor bike, his performance was excellent. He demonstrated that results do not come from equipment only. It’s preparation, training, team work, concentration and a big chunk of talent. B-PES is proud sponsor of Jayant Chote (10 years), leading mini bike racer. He is a top talent. Jay is training in The Netherlands and with Europe’s best drivers in Italy. He is supported by his family and a dedicated team of sponsors. Next year Jayant will race in the Mini GP. This is a big step forward and his training in Italy will intensify. If you want to follow or sponsor Jayant “Rabbit” Chote, visit his website. For B-PES Jayant stands for TALENT, SPEED, ACCURACY, PASSION and DRIVE. That’s how we feel about Petroleum and Geothermal Engineering.